The government agency worked with Ogilvy Washington and Forum One on its brand refresh, including a new logo and website design. 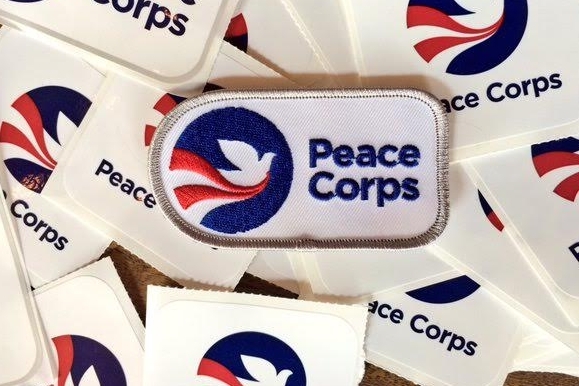 WASHINGTON: The Peace Corps unveiled a refreshed logo after more than 40 years, on Wednesday. The government agency worked with Ogilvy Washington and Forum One on the logo, as well as a website redesign. The rebrand began two years ago. The biggest challenge in the redesign: keeping the history of the Peace Corps in mind while projecting a modern feel. "The Peace Corps is an organization that’s deeply rooted in the modern history of the country," said Robert Mathias, CEO of Ogilvy Washington. "When you’re working with an organization like that and trying to help them refresh, you have to be very careful not to disturb all of the good of the past and careful to pay homage of what's come before." The redesign overall is meant to show the world that the Peace Corps has changed with the times, but still retains its core mission and values, said Carrie Hessler-Radelet, director of the Peace Corps. "We want them to see that we’re very mission driven and making a difference, to demonstrate we are using the latest tools and technology, and we are a modern organization focused on results," she said. "We also wanted to make it user friendly and mobile because that’s where our audience is today." Peace Corps posted a video to social media on Wednesday, showcasing the many ways the organization’s logo has changed since it was established in 1961. The iconic flag-and-dove logo was first introduced in 1971, when the organization held a poster design competition to celebrate its 10th anniversary. The logo hasn’t changed much since then. The new logo incorporates the key elements of the old -- the dove, the stripes of the American flag, and the colors -- in a modern way. "The most pragmatic reason [for the redesign] is that it was too complex for the digital space," Hessler-Radelet said. "We needed to have a simple, cleaner, more modern look. I felt the team did an amazing job of capturing the elements of our historic logo and making it bold, fresh, and modern." The Peace Corps also updated its website with the help of Forum One, a Washington D.C.-based digital agency that has a number of returning Peace Corps volunteers on staff. The new website is mobile friendly and easier to navigate -- part of an appeal to millennials. "The old website’s look and feel wasn’t really meeting the needs of the new generation," said Courtney Clark, MD of user experience at Forum One. "The first goal was to extend the new brand established by Ogilvy Washington online. The second goal was to reach that new generation, making the online experience something the new generation of millennials can really embrace." The visual rebrand follows a massive reform of the organization itself, Hessler-Radelet said, bringing the agency into the present and looking toward the future. "We have, over the last six years, undergone the most extensive reform effort ever undertaken, to make us a modern agency, to utilize the tools and technologies available to our volunteers today," Hessler-Radelet said. "Our new logo is meant to reflect that. It honors our agency’s historic roots. We are an iconic brand and it has to bridge the old with the new." The rebranding initiative was a combination of in-house and agency work, led by Juan Carlos Polanco Santiago, Peace Corps creative director; Natalie Adler, SVP at Ogilvy Washington; and Molly Mattessich, senior project manager, and Clark at Forum One. Instagram's new logo: Like it or not?